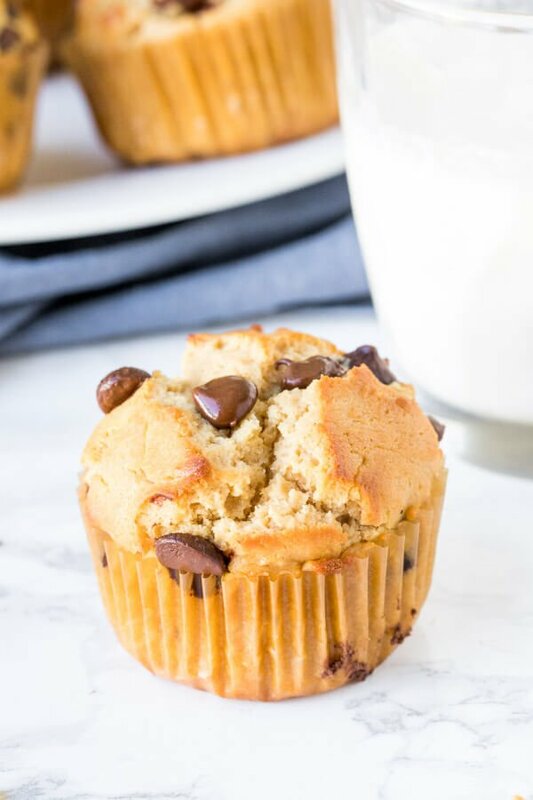 These easy peanut butter muffins have a delicious peanut butter flavor, moist texture, and are filled with chocolate chips. Make them for breakfast or a snack – they’re the perfect way to get your peanut butter fix. Peanut butter is such a staple breakfast food. But have you ever made peanut butter muffins? These delicious peanut butter morsels have a delicious peanut butter taste, aren’t too sweet, and can be made extra special if you turn them into peanut butter chocolate chip muffins. The chocolate chips are optional, but also necessary (if you ask me).